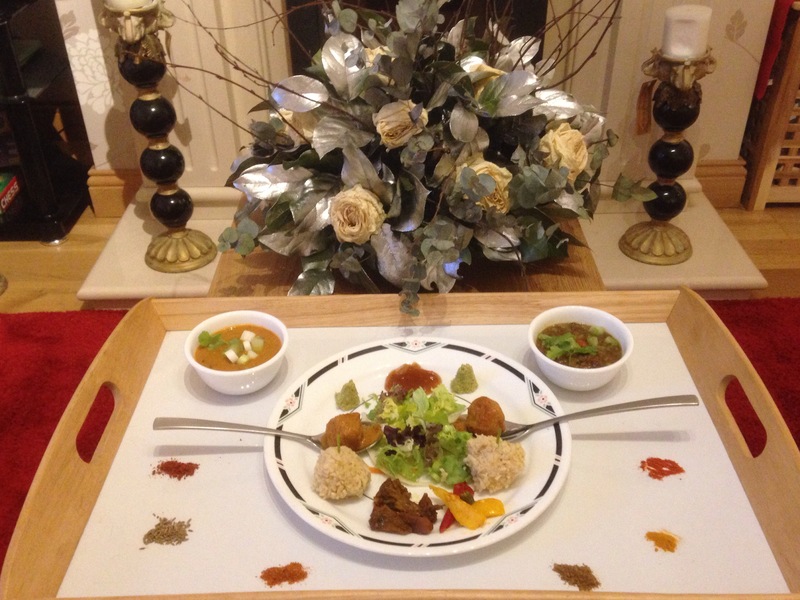 If you came for dinner at mine today, I would feed you chicken kofta, salad, basmati rice balls, mango chutney, coconut chutney, lemon-ginger-chilli Achaar, carrot and cauliflower Achaar, daal turka and makhani sauce. Must say it was Ab Fab, wanna try????? Is that the new “Ulster Fry?”Looks a lot more colourful Des. No fried food in that lovely concoction my friend!! !